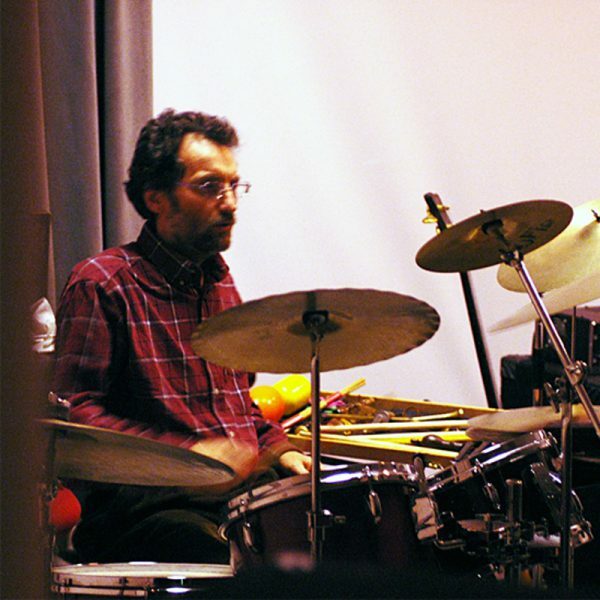 Nello Da Pont had a training in classical percussion before deciding to focus almost exclusively on the drums. He studied under Enrico Lucchini and attended masterclasses held by legends like Elvin Jones, Kenny Clarke and Gary Burton. He worked alongside the likes of C. Fasoli, T. Scott, L. Bonafede, S. Gibellini, G. Basso, P. Chiesura, P. Birro, F. Boltro, M. Caldura, S. Tasca, L. Nocella, M Urbani, F. Testa, D. Boato, L. Caruso, C. Actis Dato, M. Rusca, D. Volpi, G. Schiaffini, R. Todesco, G. Trovesi, M. Vaggi, P. Leveratto, L. Terzano, G. Maier, D. Cavallanti, L. Rossi, G. Pacorig, C. Coianez, B. Romani, M. Zemolin, F. Sfregola, C. Mazza among many others. Very active as an educator he teaches in several institutions in northern Italy. Among these we cite the “Vittadini” Conservatory in Pavia, the “Vallotti” Music School in Vercelli, the Dorno (Pv) public school, the “Dizzy Gillespie” Music School in Bassano. He currently works as well in a number of music schools in Belluno, Treviso, Padova and Pordenone. He holds improvisation workshops for both young students and adults. With Then Elisabetta, he founded the “Associazione Le Brioche O.N.L.U.S., UNO SPAZIO DI ATTENZIONE ALL’ASCOLTO DEL BAMBINO” where he is responsible for a number of pedagogical activities aiming to expand the free self-expression through various disciplines. In addition to music and painting workshops, the association provides, in collaboration with child psychotherapist D. Caprioglio, educational and rehabilitating riding therapy programs.